A Sociological Analysis“. It can still be viewed at wurtv.wur.nl. 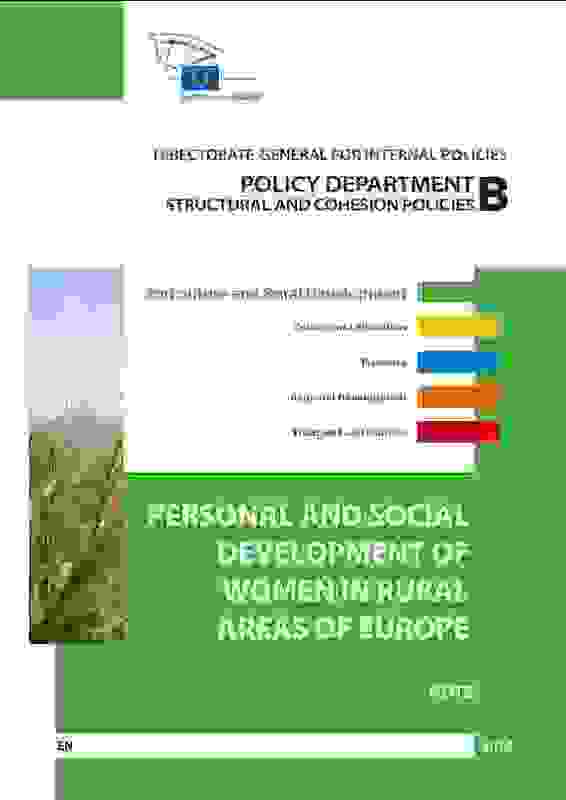 The report ‘Personal and social development of women in rural areas of Europe’, prepared for the European Parliament’s Commit tee on Agriculture and Rural Development, provides an overview of the social situation of women in the rural areas of Europe. It looks into rural women’s work, political participation and their experience of the quality of life in rural areas. It points at the great diversity between and within Member States but also states that there is no evidence of a general rural disadvantage. Women experience specific problems only in the peripheral rural regions of Europe and in particular the Central-Eastern Member States. These areas are maladapted to women’s needs in terms of employment and services, as well as cultural norms and values. It is also in those areas that young rural women (and men) decide to leave and to search for a better life elsewhere. Analysis of rural development policies reveals that women seldom participate in the formation of rural development plans or the decision making on the distribution of funds. There are some projects designed for women often focusing on self-employment. There are also some projects aimed at improving the supply of social services. Most projects are fragmented attempts to solve some problems for some women. A coherent plan on how to address gender equality is lacking. To improve the situation of rural women it is recommended to focus on the situation in the peripheral rural areas where the low quality of life and lack of work, income and services constraints women’s development and perpetuates unequal gender relations. It is important to invest in the vitality and quality of life of those areas and to improve their accessibility. Upgrading the local quality of life may convince rural women (and men) to stay. It may also help to mobilize individual and collective action for local development.